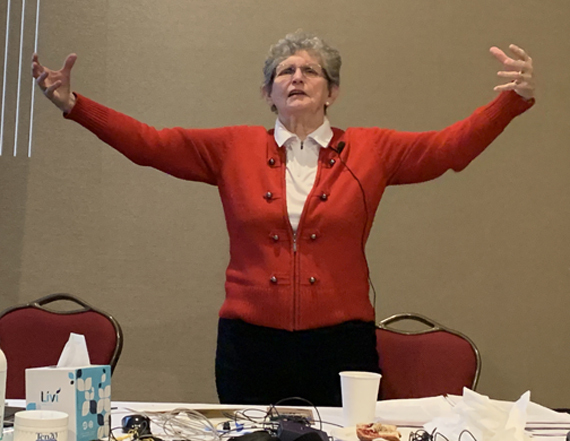 BSF expresses its appreciation to Vietta "Sue" Wilson, Ph.D. for her wonderfully informative and entertaining presentation, "Optimal health and performance (for everyone) through biofeedback and neurofeedback; Psychophysiological methods for assessment and training" at the BSF January 2019 CE meeting. We are also grateful for the support of Bio Medical Instruments, the Biofeedback Certification International Alliance (BCIA), and all who attended and contributed to the lively sharing of ideas and warm collegiality. We look forward to seeing you in August for our next CE program. Ballots coming soon for BSF 2019 Board election! The online polls will open soon for the BSF 2019 election of Board members and officers. Be on the lookout for an email containing your ballot. You are eligible to vote if your BSF membership is current. All memberships expired at the end of January, so if you have not renewed in 2019, please do so by submitting the online membership renewal form. If you are a health care professional licensed in Florida and have attended a BSF continuing education (CE) workshop, you will need to report your attendance to CE Broker. The CE Broker online form makes the process quite easy. Become involved as a valued member of the diverse professional fraternity of health care providers and academicians that is BSF. We count on your dues to support the BSF mission. Please join or renew today!